You were not put upon this Earth to "get it," Mr. Burton! Oh, Big Trouble in Little China, one of my favorite movies. And you can bring it to your tabletops with Everything Epic's game based on the movie. 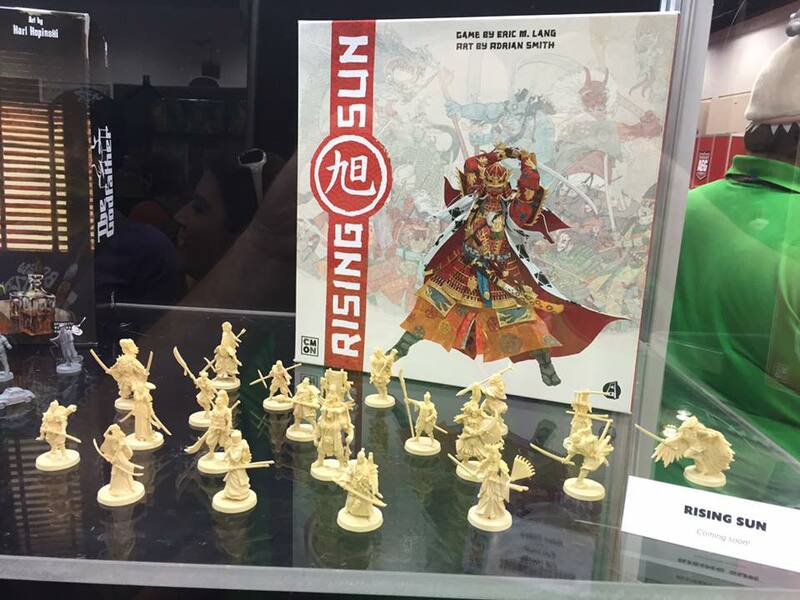 Soon, you'll be able to do even more, as Everything Epic has started taking pre-orders for their Legacy of Lo Pan expansion. 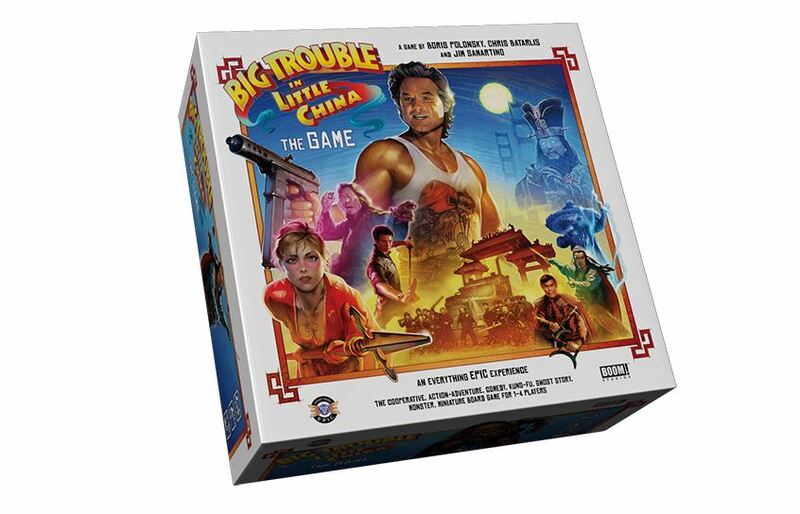 But what you can get is the new Big Trouble in Little China board game coming from Everything Epic Games. They've started taking pre-orders for it, including for the deluxe edition. In the game, players are working together to take on Lo Pan and his evil gang. But will the forces of good overcome the forces of evil? Well, now that you've gone and gotten your name on the list to get your copy of the new edition of 40k, let's get down to business with the regular affairs for Saturdays. That is, the Review Roundup. Today we have: Carcosa, Pandemic, 12 Realms, 12 Realms: Ghost Town, Legendary: Big Trouble in Little China, Imperial Settlers: Aztecs Expansion, Space Invaders: Dice, Coal Baron: The Great Card Game, Saga of the Northmen, Wettlauf nach El Dorado, Get Rich Quick, Critters Below, and Honshu. One of the game that's slowly building momentum as the year goes along is the Big Trouble in Little China board game coming from Everything Epic Games. Occasionally, we'll get a bit of a promo image of some art, a model render, or a look at the boards. 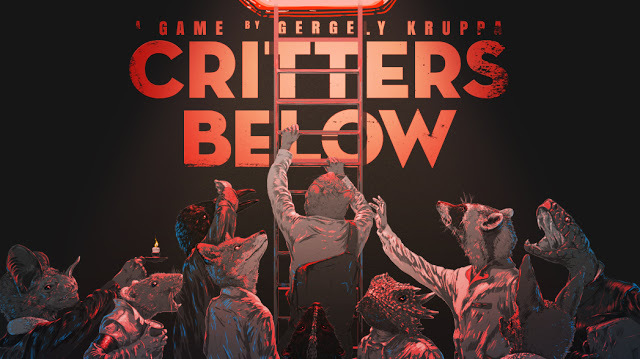 Well, in this preview, we get a little bit about how the game will play, too. We've just got a far-East theme thing going on today, it seems. 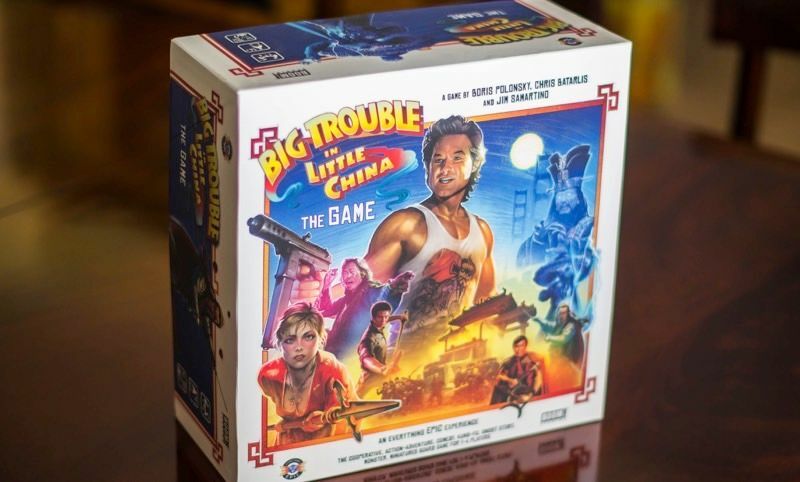 Let's keep that going with a look at some of the previews that've come out for the Big Trouble in Little China board game that Everything Epic Games has been working on. So, it's coming up to 8pm. Day 2 is definitely in the books for Gen Con 2016. It's been a very busy day. I'm tired, but still pretty amped about everything that's gone on. And I'm sure you all would like to know about some of it. There's been about a billion things to see. So, relatively, here's a rather small percentage. More will come tomorrow.